Exceed Excellence. Go Beyond Limits. No two people are alike and no two prosthetic experiences are the same either. 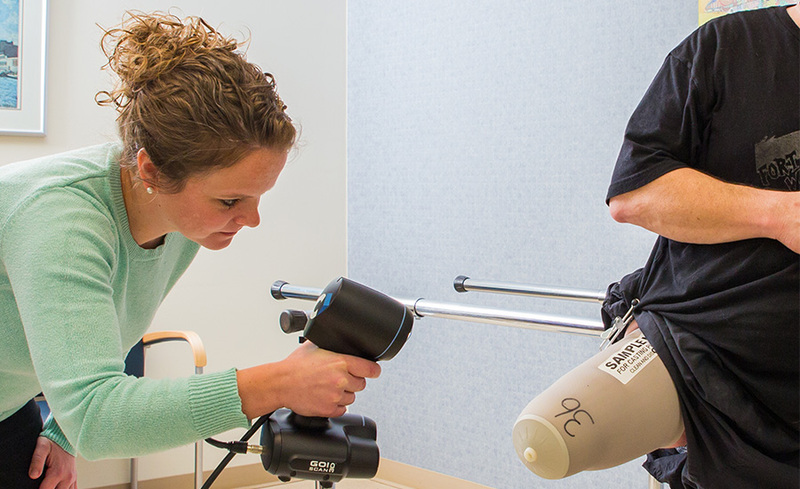 We understand the physical and emotional challenges that come from limb loss. That’s why we are determined to find the right solution and ease the transition into the new normal for your life. Our custom-made prostheses are not only tailored to the patient’s specific physical needs, but they also take into account lifestyle goals. 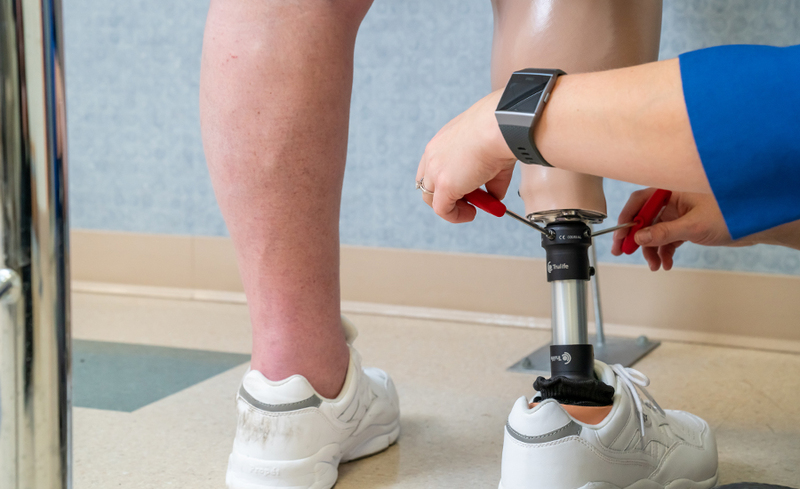 With experience in both upper and lower extremity prosthetics, our clinicians are passionate about designing, fabricating and fitting devices that allow optimal function. This process is an exact science to be sure, but it also requires clinicians who know how to listen to a patient’s unique needs and concerns. When it comes to upper limb loss, each patient’s condition is especially unique. And because physical limitations vary, coming up with innovative solutions is often necessary in the fabrication and design of an upper extremity prosthesis. 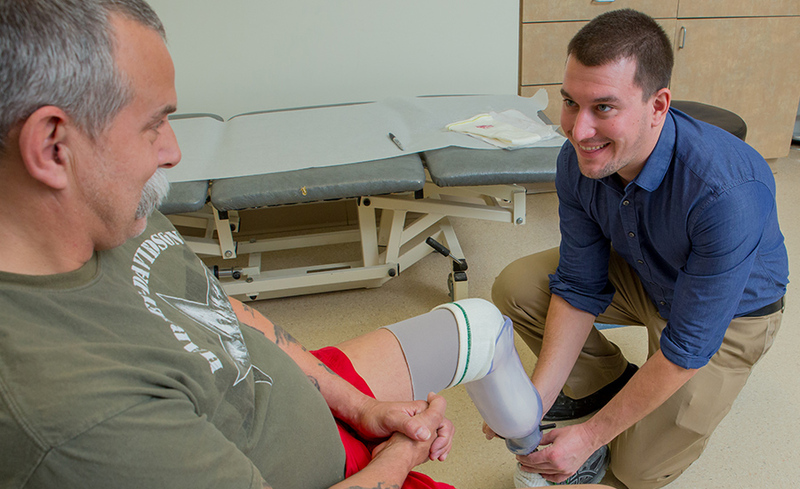 Our certified prosthetists are trained to recognize the many factors that come with an upper limb loss experience and develop a device to fit your specific needs. Patients who experience lower limb loss can benefit from a wide range of prosthetic technologies. As the experts, we know the importance of educating you on available options and coming up with a treatment plan that makes sense for your life. With your goals in mind, our lower extremity prostheses are customized for activity-specific needs. We use the most effective methods to manufacture a lower limb prosthesis to help you reach your lifestyle goals. The Transcend team has extensive knowledge and training on the foundational principles and technology used in every prosthesis. From passive life-like, body-powered options to microprocessor controlled, our centralized prosthetic lab uses the industry’s most advanced technology in the evaluation and fabrication process. We proudly utilize components like the elevated vacuum, myoelectrics, microprocessors, light weight and strong carbon fiber/titanium components, and customized patterns and designs. No matter which prosthesis is right for you, we want you to feel empowered! Everything is coming back, that’s all I want is my normal… It’s very helpful to come in and be greeted with a big smile. Your professionalism and just getting it done, getting it done right, and getting it done quickly has helped change my life.